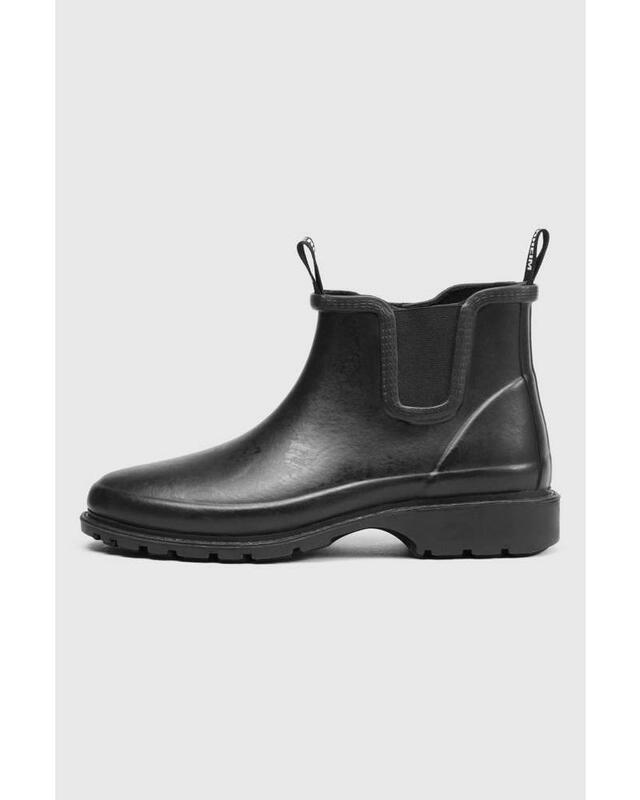 Skalka is a waterproof women’s rubber Chelsea boot, handmade in vulcanized rubber. 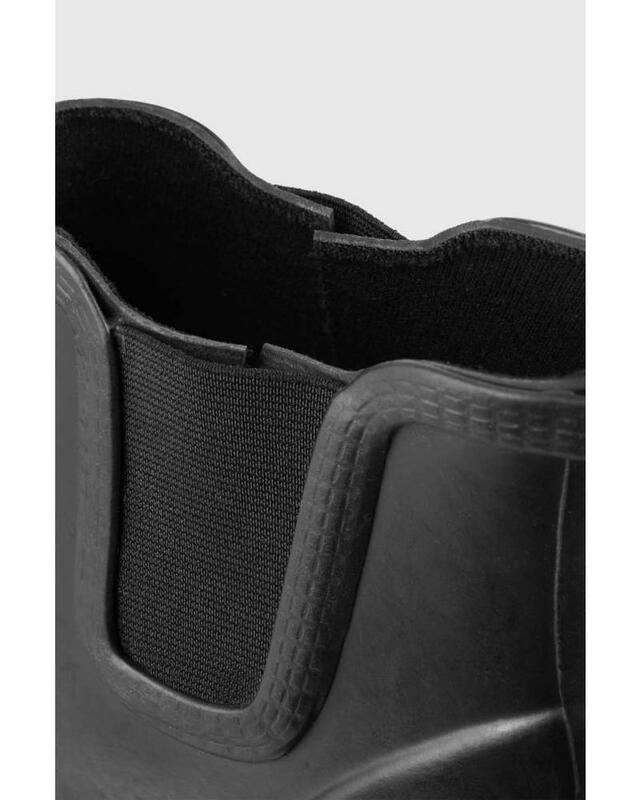 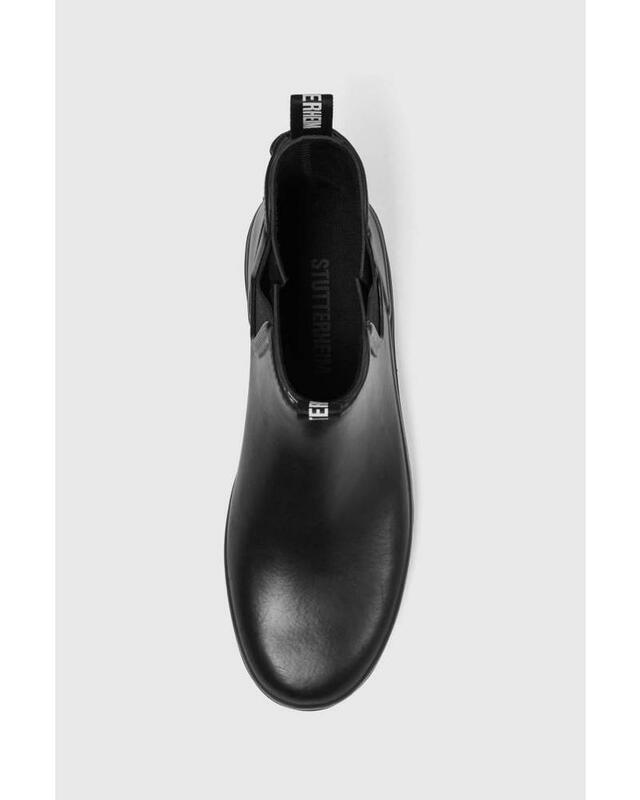 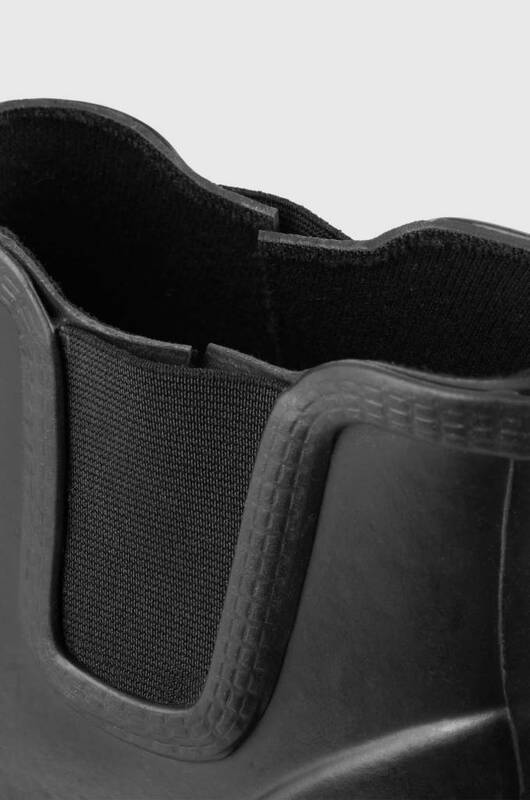 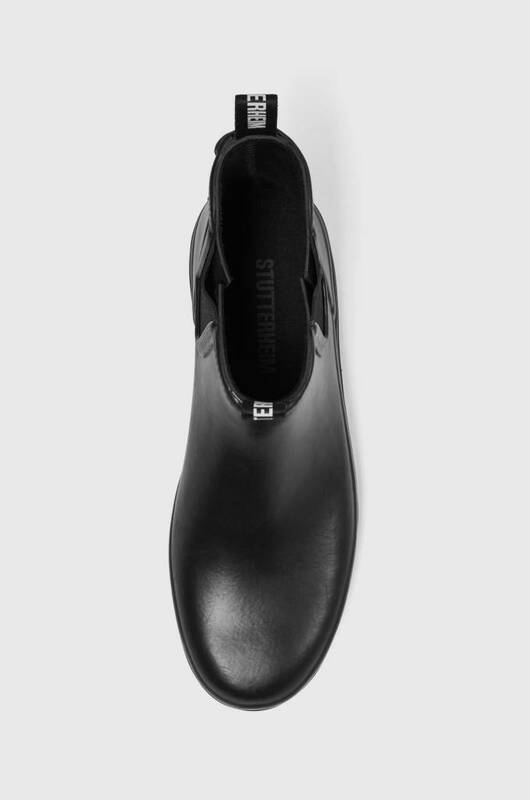 The boot has a rounded shoe tip, elastic side gussets and logo woven pull tabs. 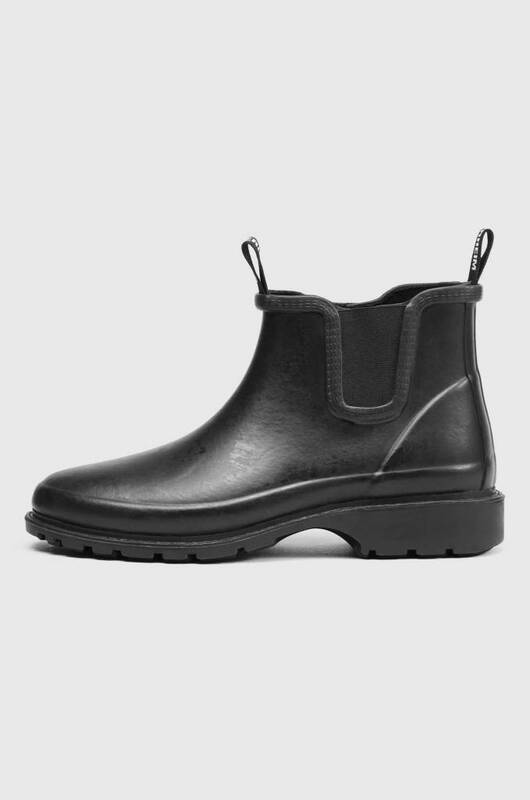 Here in an all black version.